Hello every one ! !Feels like it's been ages since I last updated the blog.With a three month long summer vacation to the school we decided to spend quality time with family(ies) back home.And that was a good decision to escape from the horrendous heat wave experienced here.After being welcomed to a war prone home(looked from every angle as if it was affected)and a home sick mind lingering with the very thoughts of my parents and the chaos of the city,this calmness is just hounding me.I decided to just go with the flow and give my self and my body the time to heal.Did I miss the blog? To the core!!! 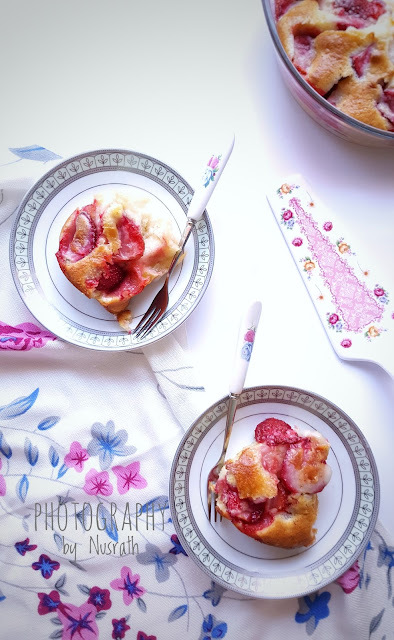 Not only did I miss blogging but the "me time" that I get to channelise my creativity through my lens. 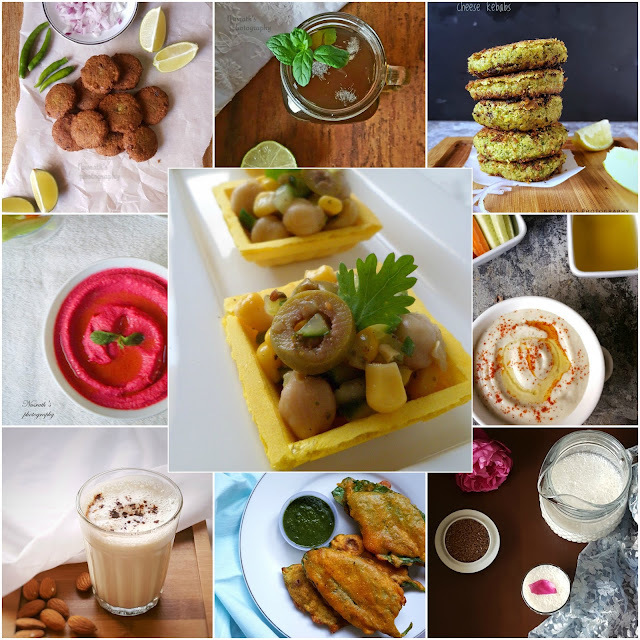 Hello all ,been MIA from the blog and I am really sorry for that.It was purely un-intentional and I regret it.Ramadan is here and we are already in 9 day of ramadan.Here is around up of the iftar recipes on the blog.Iftar means, to break the fast observed by muslims at the time of sunset during maghrib time. We usually keep iftar simple with dates,fresh fruits a savoury item (preferably not a deep fried one) and some drinks with lemon or fresh fruit juice. 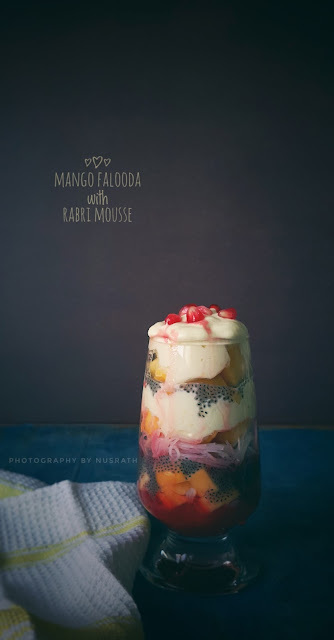 Its raining mangoes on the blog.Yes !! the king of fruits is a guest for few months and I am making the most of it .Apart from mangoes there is nothing so lovable about summer especially in this part of the world.A soaring temperature threatening to cross 48 C ,hot winds accompanied by frequent sand storms is how a summer can be described in words here in a dessert. Popsicles are the best way to find some relief from the heat + the tested way to make the kids eat fruits.Well ,I don't think there are kids who don't like mangoes.I have given an Indian twist to these Popsicles by adding a little bit of chat masala to pomegranate juice. With mangoes in season all I could think was this delicious beautiful mango rose cake.We are a family of mango lovers and relish mango on its own .But a cake never hurts-right? 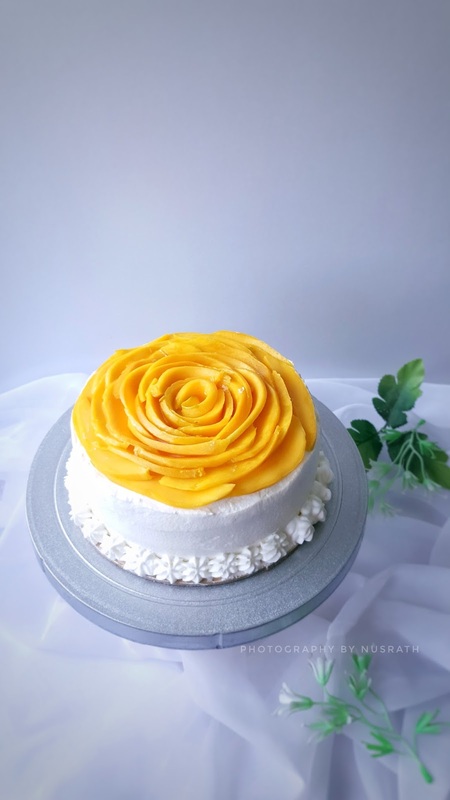 Mango has its own sweetness and colour and is perfect for cakes.A moist vanilla cake layered with whipped cream and adorned with mango in the form of a flower.Why vanilla not a chocolate? 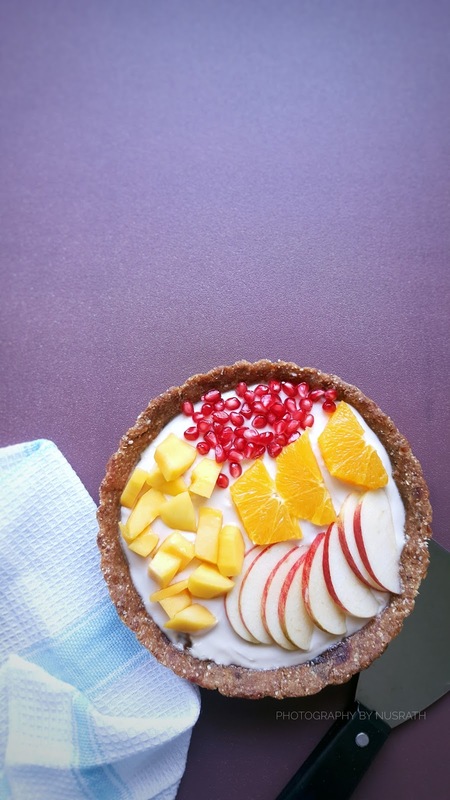 ( my kids too asked the same ).I don't want to over power the taste of mango with chocolate + mango and vanilla are a combo made in heaven.I have just added mango puree between the whipped cream layers just to increase the mango flavour. With the world becoming more health conscious new avenues of healthy eating are opening up.Its up to you which way would you let yourself to go.Finally trying to bring in some fitness and healthy eating discipline into my life.Hope I don't loose my mojo (which is very often) and get back to the dumping.Today's recipe is a raw tart which is,healthy,hassle free ,nutritious and comes under 20 minutes.This post is inspired from the instagram posts of raw tarts ,but this is my version.The base of this tart is made from dates,oats ,almonds,walnuts(all the healthy ingredients you can dream of).The filling is made from Greek yogurt and for topping you can use any fruit you fancy.Doesn't that sound simple? 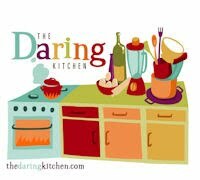 Of course .The rate with which we are heading towards summer this will definitely reduce the long hours in kitchen. 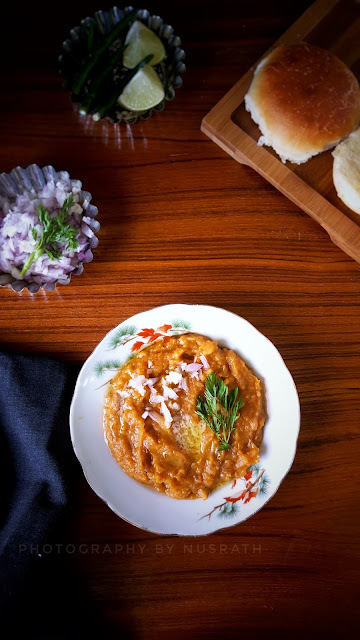 Pav bhaji is a combination of Two words pav/dinner rolls and bhaji which is usually a medley of vegetables(mashed) and spices.Pavbhaji is a typical Mumbai street food which has become popular not only in India but all over the world.The dabba walas are the life line of Mumbai (you can read about the dabba walla's here).These dabba walas are so busy that they don't find time even to have their lunch.It is believed that pav bhaji was invented so that the dabba walas can have their lunch on the go with out compromising on nutrition.Hence pav bhaji came into being and since then it has become popular among the street food lovers. Hello every one !! 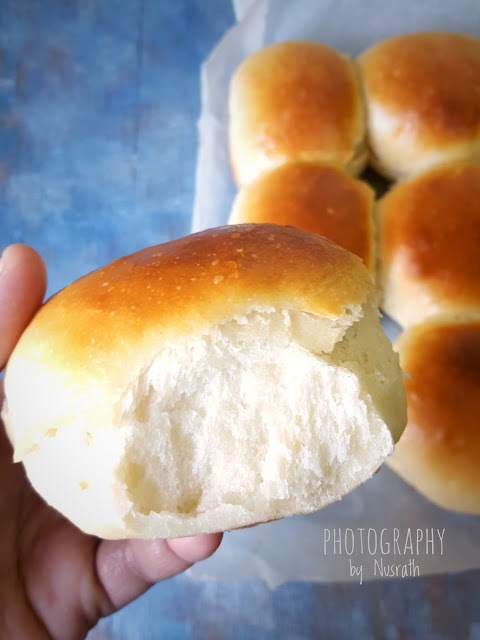 Hope you all have been well.Catching the train with today's recipe.Dinner rolls or pav/pau as we call in India is a staple of every house hold.These mini,feathery bundles of joy have been my all time favourite.I still blurly remember the chaos at our local bakery for fresh out of the oven breads and dinner rolls.This is the second bread post on the blog after leopard bread which is the most popular recipe till date.Bread making isn't a cake walk- no I am not terrorising you.Baking a cake and frosting is much easier compared to bread making,well that is my opinion and I am sure with practise In Sha Allah I am gonna conquer my fear. 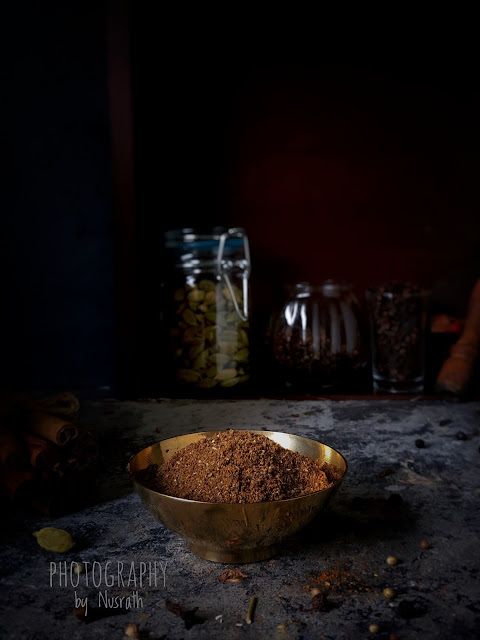 Garam masala /all spice mix is the most commonly used spice mix in every Indian home.If you want to add that gourmet touch to a simple dish just sprinkle some garam masala and wait for the magic to engulf you.I always wonder why people pick up the store bought masala packets when you can easily do it at the comfort of your home .It isn't time consuming and plus you are free to add or avoid the spices of your choice. Following the last post of sambar powder, today's post is a mixed vegetable sambar.I grew up in a joint family and catering to every family members choice was a laborious task.Making sambar tailored to ones liking and that too for a family of 15 members is not a easy task. So the solution for this problem was a Mixed vegetable sambar .Add any vegetable of your choice or a hand full of every thing available either ways this sambar is lip smacking and you would want to lick that plate too.In India the vegetable vendor packs all the vegetables in small quantity if you order for sambar vegetable's .The soul of an aromatic sambar is the sambar powder, curry leaves and drumsticks . 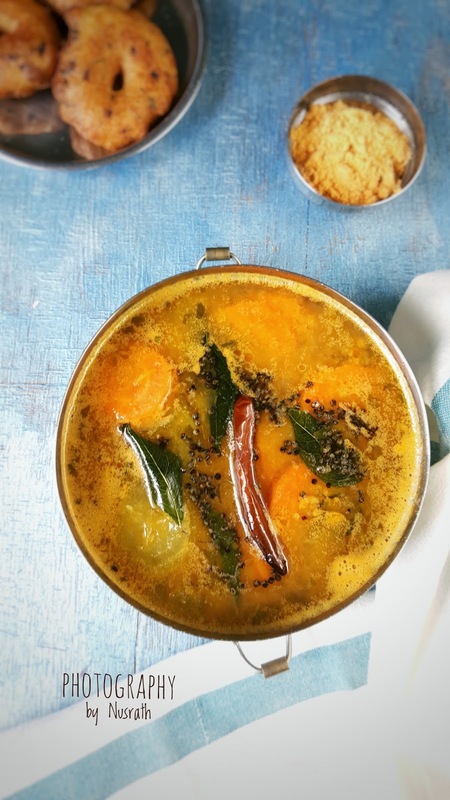 You can't even imagine sambar with out sambar powder and curry leaves.While sambar is relished with idli,dosa,vada it can also be had with simple steamed white rice too.If you are making it vegan then proceed as it is or I would suggest using ghee /clarified butter for tempering and I can vouch for the difference in taste that ghee adds to the sambar. This month for the Muslim bloggers challenge we were assigned "cooking from the scrap book".I had missed the last months challenge due to illness.For the newbies who want to know about what MFB is please have a look at the previous challenges here and here.During the pre-Internet days when I landed in this oryxland(Qatar) television was the only source of knowledge available regarding cooking.Unlike now, where we have 24 hours food and travel channels there were only 2 Hindi cooking shows aired on Sundays and I would get glued to the television for that half an hour. 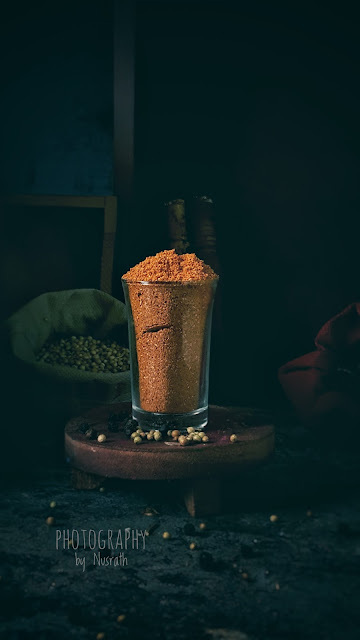 After posting 164 recipes I realised that the blog doesn't have a basic sambar powder and sambar recipe.So with out much procrastination I present to you a very easy and versatile sambar powder recipe.My Indian Friends don't need much explanation regarding this.For my non-Indian friends,sambar is a south Indian style lentil stew with veggies usually served with idly ,dosa or even with rice too.This lentil stew is seasoned with a mix of spices roasted and ground to a fine powder known as sambar powder.Sambar powder is a basic pantry staple of a typical south indian household .